​The Higher Education Academy is an independent organisation in the United Kingdom that supports higher education institutions with strategies for the development of research and evaluation to improve the learning experience for students. It was founded in May 2004, from a merger of the Institute for Learning and Teaching in Higher Education (ILTHE), the Learning and Teaching Support Network (LTSN), and the TQEF National Co-ordination Team (NCT). The Higher Education Academy runs Professional Recognition scheme to offer public recognition of the expertise and commitment of those recognised to the student learning experience. The basis for the award of these is an assessment against The UK Professional Standards Framework for teaching and supporting learning in higher education. Syed was elected as a Fellow of the Higher Education Academy in 2012. ​The Royal Society for the Encouragement of Arts, Manufactures and Commerce (RSA) is a British multi-disciplinary institution, founded in 1754. Charles Dickens, Adam Smith, Benjamin Franklin, Karl Marx, William Hogarth, John Diefenbaker and Stephen Hawking are some of the notable RSA's members and it has today more than 27,000 Fellows from 70 countries worldwide. The RSA members are still among the innovative contributors to the human knowledge. Through its ideas, research and 27,000-strong Fellowship it seeks to understand and enhance human capability so we can close the gap between today’s reality and people’s hopes for a better world. Being elected an RSA Fellow depends on having achieved (or demonstrating the potential to achieve) a contribution to society in a cultural or arts-related sphere. Syed was elected as a Fellow of the Royal Society of Arts in the year 2012. The Royal Asiatic Society was founded in 1823 by the eminent Sanskrit scholar Henry Colebrooke and a group of likeminded individuals. It received its Royal Charter from King George IV in 1824 'for the investigation of subjects connected with and for the encouragement of science, literature and the arts in relation to Asia'. Throughout the course of the Society's history many distinguished scholars have contributed to its work, including Sir Richard Burton (1821-90) the noted explorer and first translator of the Arabian Nightsand Kama Sutra and Sir Aurel Stein (1862-1943) the renowned archaeologist and explorer of the 'Silk Road'. The Society is affiliated to associate societies in India (Calcutta, Bombay, Bangalore, Madras, and Bihar), Sri Lanka, Hong Kong, Japan, Korea and Malaysia. Syed was elected as a Fellow of the Royal Asiatic Society in 2014. 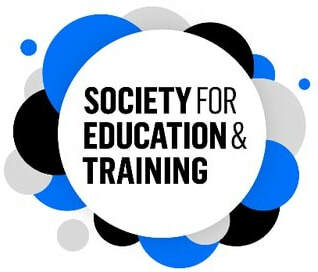 The Society for Education and Training (SET) is the professional membership organisation for practitioners working in the post-16 education and training system. SET’s membership grade criteria are designed to include the diversity of teaching and training roles found across the further education (FE) and skills sector. This diversity includes those in support roles and those who have teaching or training experience and are using this in classrooms, workshops, the community and the workplace. Fellows of SET are highly experienced practitioners who have an influential voice and play an important role in the work of SET. Syed was promoted as a Fellow of the Society for Education and Training in 2018.